The beginning of the Hebrew month of Kislev (this year, Sunday, November 19) is a reminder that Hanukkah – which starts on the 25th of that month – is on the near horizon. The historical backdrop of Hanukkah recalls a time of pervasive Hellenistic influence and a war waged to restore traditional Judaean religious practice (centered at the Temple in Jerusalem) in the face of competing cultural and religious forces. Throughout the millennia, Jews and Judaism have developed amidst alternative religious and cultural models; diverse traditions among Jews from various parts of the world are testimony to a meaure of cultural borrowing resulting from these cross-cultural encounters. Through most of Jewish history, Jews viewed themselves as part of a people and part of a religious system; “Jew,” as Judaean, referred to nationality as well as religion. The Biblical Ruth, embracing her mother-in-law Naomi’s way of life, famously pronounced: “Your nation is my nation; your God is my God.” A century ago, in the United States, Jewish intellectuals spoke and wrote glowingly of an American republic comprised of people of diverse nationalities and urged Jews to contribute to the developing American ethos from the unique wellspring of Jewish wisdom. Judah Magnes, Rabbi of Temple Emanuel, in New York, commented (1909) that the cultivation by Jews of their Jewish nationality – which he identified with national language, culture, history, traditions, customs and ideals -- would be of great benefit to the United States. Over the past century, ethnic (peoplehood) identity has signficantly declined. Personalism rather than notions of “klal yisrael” (a Jewish collective) increasingly characterizes the Jewish sensibilities of most American Jews. “My Judaism” or “my Jewish journey” has replaced “we are one” as an expression of Jewish connection. This change expressses itself in making the “case” for Jewish learning and experience. Reference to “survival” and “continuity” of the collective has given way to declarations about individual flourishing and thriving through Jewish living. Judaism is (not incorrectly) touted as good for family relationships, resilience, mindfulness and emotional well-being. There are multiple paths to meaning-making when it comes to Jews’ understanding of the rich heritage of Jewish wisdom. Reflection on the two-pronged question “from where have I come and where am I going” (Avot 3.1) endures throughout time and place; the quest for meaning in life is ever-real. 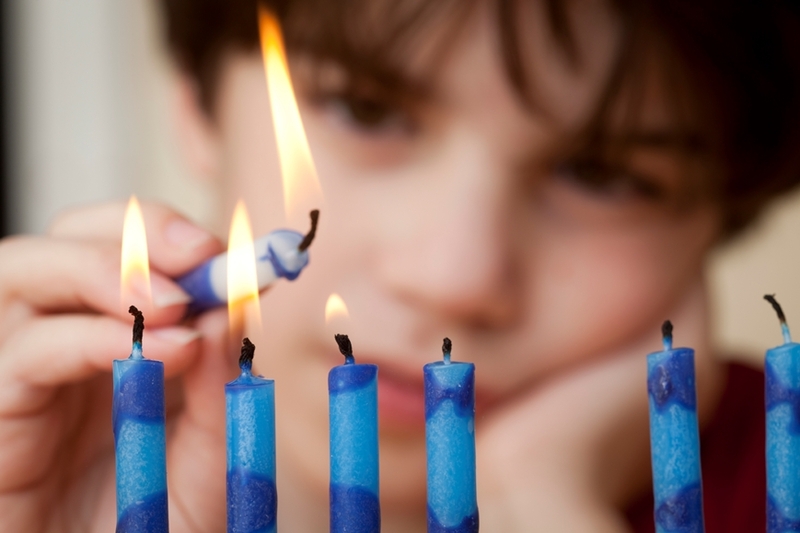 Hanukkah reminds us that, in an often turbulent world, the greatest gift we can provide our children and grandchildren is access to the wisdom of a tradition that can contribute to the quality of their lives (as of their ancestors’) and enable them to bring a unique light to the communities of which they are a part.